I use this White Australian Fuchsia for dry shady conditions. Correa Ivory Bells grows about 5' tall and wide. I have found the two tone leaves to be a great part of the beauty of this plant. The tops of the leaves are gray-green, the lower sides of the leaves are wooly white. 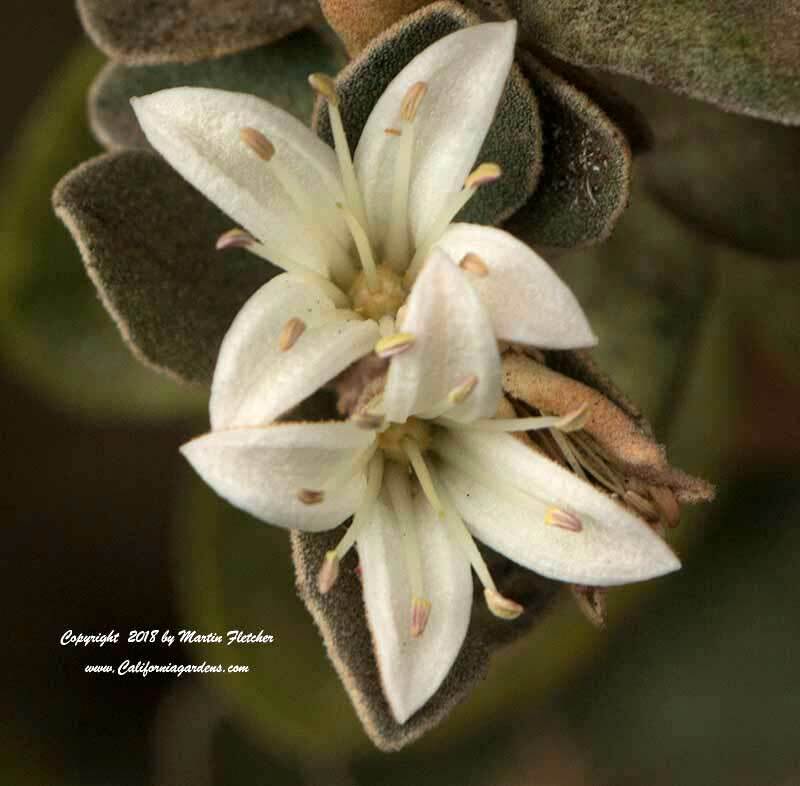 The flowers of Correa Ivory Bells are a creamy white. The Correa plants are susceptible to oak root fungus. If there are already problems with this fungus on site find another plant. This one will be the first to go. Correa Ivory Bells is more tolerant of sunny conditions and will thrive in full sun locations, even in the interior valleys. Flowers and foliage of Correa Ivory Bells White Australian Fuchsia. High resolution versions of this image are available from our garden image catalog. 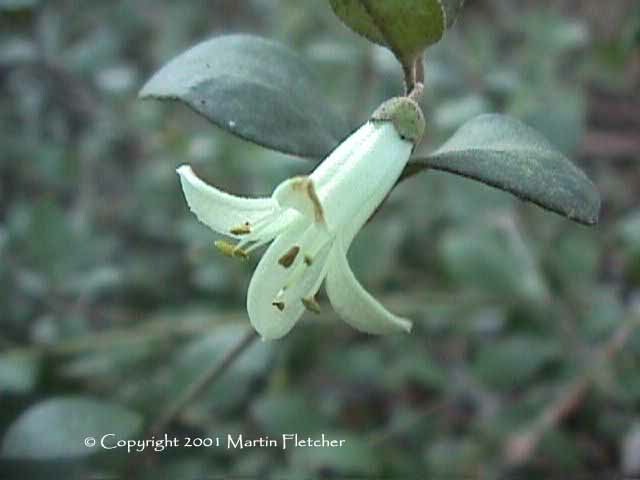 Flowers and foliage of Correa Ivory Bells White Australian Fuchsia.